Dont miss this pristine Cape Cod style home w/ 1,688 sq. 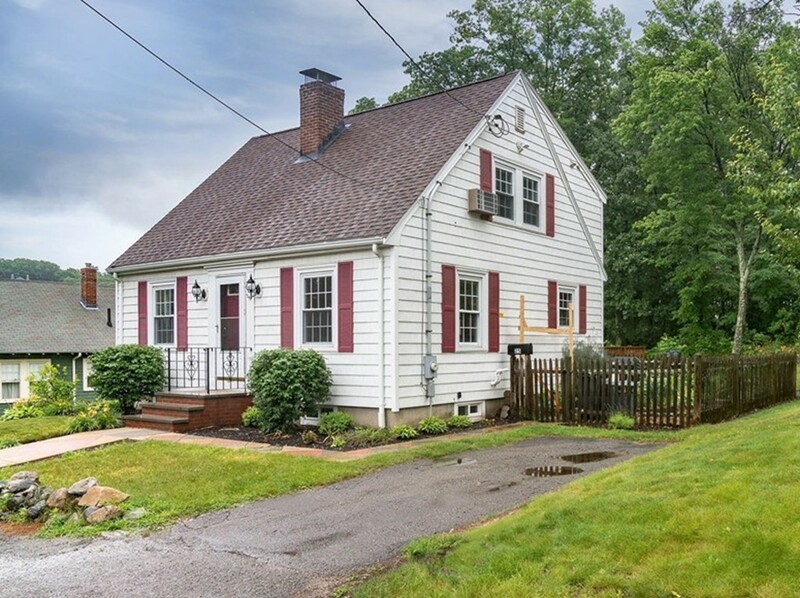 feet of living w/ 7 rooms, 2 beds & 2 baths nestled on a quiet, secluded st w/ wonderful woods in rear, minutes to vibrant downtown Melrose & Boston! Recently renovated. this home offers a wonderful front to back fire-placed living room, formal dining room & a cooks absolute dream of a kitchen w/ granite counters, island w/ bar seating, wine fridge & a family command center w/ built in storage & computer desk. Off the kitchen is a heated sunroom w/ sliders to a large deck & terrific rear yard overlooking wooded space & Reeds Ferry shed. Upstairs has 2 large beds w/ gleaming wood floors & modern bath. The lower level area is spectacular w/ fantastic family room, laundry area, full bath & large woodshop. Newer furnace/hotwater. Commuters will appreciate the easy access to Oak Grove T & Wyoming Hill Train, bus stop 2 blocks away. 5 miles from Boston & close to downtown Melrose for wonderful shops/restaurants!Offers due Tues noon!